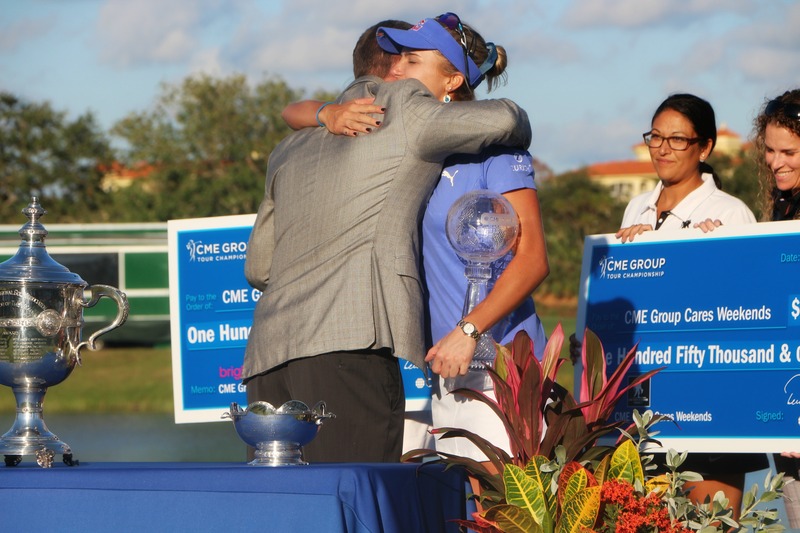 Naples, Fla._ Lexi Thompson lost her chance to victory after missing a two-foot putt on the 18th hole on Sunday at the CME Group Championship. Before the missed putt, she had a one-shot lead over the others. She won the $1 million bonus and Vare trophy, but she missed her chance to become LPGA player of the year, the Race to the Globe trophy and the $500,000. What stood out was the amazing performance of Jutanugarn, who won for the second time this year. Jutanugarn was at 13 under on the 17th hole when she hit a hybrid for her second shot into the bunker and blasted out to about 18 feet. At the 18th green, Thompson was at 15 under and failed to make the last putt that was needed to win. A few minutes later, Jutanugarn capped off her birdie finish with an 18-foot putt to win the tournament. From 15 feet, the same distance from which she had birdied No. 17, Jutanugarn sank it in. The crowd cheer, champagne was sprayed all over Jutanugarn by her family watching from behind the putting green (I happened to get soaked as well) and she and her mother were spotted crying and holding each other. This was a big accomplishment for her. So Yeon Ryu and Sung Hyun Park shared the trophy for the Rolex Player of the Year, which hasn’t occurred since since the award’s inception in 1966, who after a full season of competition were deadlocked in points. Michelle Wie, trying to win for the first time since the U.S. Women’s Open in 2014, had a share of the lead until she hit near the edge of a bunker and made double bogey on No. 9, and then dropped two more shots on the back nine. Even with seven birdies, Wie still only managed a 70. 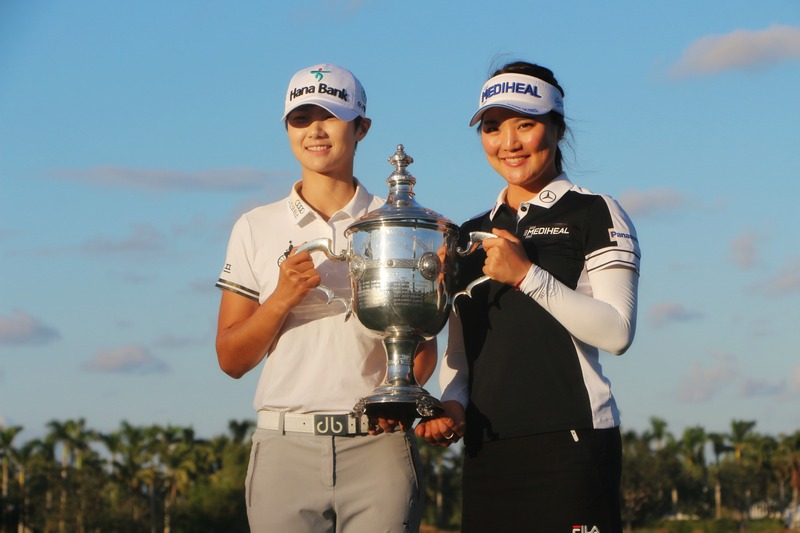 She rebounded after the unusual four-stroke penalty at the ANA Inspiration, to rally into a playoff that day and win the Kingsmill Championship little more than a month later. She handled the cancer diagnosis of her mother, Judy, and death of her grandmother, Marie. In a singles match at the Solheim Cup against Anna Nordqvist, she lost the first four holes but rallied with a 7-under 29 on the back nine to halve the match.